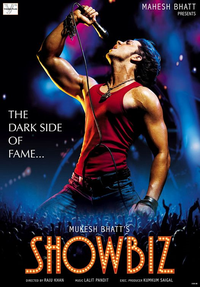 Review Summary: On the whole SHOWBIZ lacks the power to keep you hooked. Disappointing! On the whole SHOWBIZ lacks the power to keep you hooked. Disappointing! A film about the corruption in the media is relevant in today’s times. Guess who's the new enemy on the block? The be-reham (heartless) media wallahs who sting and byte the bechara celebrities like blood-sucking vampires.